David Brion Davis, The Problem of Slavery in the Age of Emancipation (Knopf, 2014). Tammy Ingram, Dixie Highway: Road Building and the Making of the Modern South, 1900-1930 (University of North Carolina Press, 2014). Martin P. Johnson, Writing the Gettysburg Address (University of Kansas Press, 2013). Lorien Foote, The Gentlemen and the Roughs: Violence, Honor, and Manhood in the Union Army (New York University Press, 2010). 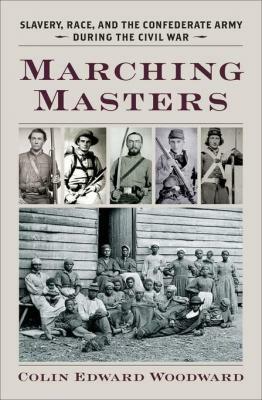 Colin Woodward, Marching Masters: Slavery, Race, and the Confederate Army during the Civil War (University of Virginia Press, 2014). The Woodward book seems like it might be very interesting. Absolutely. I read the dissertation. Thanks for the feedback. I am very pleased with the new look and functionality.